"Alexa, ask my dentist if my prescription is ready." No, really. You can do that now. Amazon announced on April 4 that its Alexa Skills Kit now enables select covered entities subject to Health Insurance Portability and Accountability Act (HIPAA) regulations to build Alexa skills that allow it to transmit and receive protected health information as part of an invite-only program. Cool. But what does that actually mean? It means soon you could be using your Alexa for more than weather and traffic updates and turning on music. Voice technology could be a big part of what healthcare looks like in the future. Dr. Nima Aflatooni, a member of the ADA Council on Dental Practice, couldn’t agree more. "We are interested in seeing if Alexa can really help patients connect to dentists and get more efficient access to care while securely protecting patient information in a HIPAA-compliant manner," said Dr. Aflatooni. As an example of how this is going to work, Express Scripts, one of the developers of the new Alexa healthcare skills, enables its members to check the status of a home delivery prescription and can request Alexa notifications when their prescription orders are shipped. Mark Bini, vice president of innovation and member experience of Express Scripts, said, "We are trying to make it easier for people to make better-informed health care decisions. In particular, we believe voice technology, like Alexa, can make it easy for people to stay on the right path by tracking the status of their mail order prescription, helping us further solve the costly and unhealthy problem of medication nonadherence." 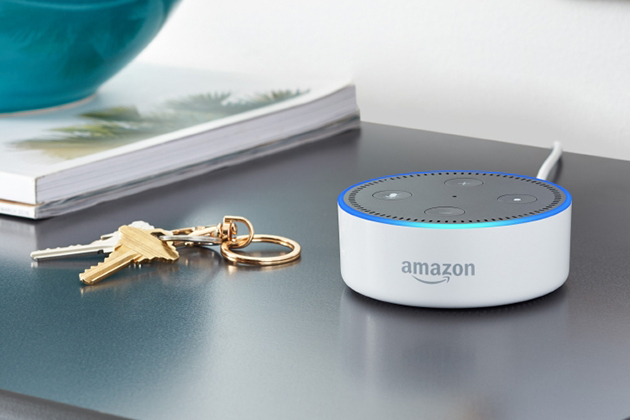 Stephen Cassell, senior vice president of global brand and customer communications for Cigna, another developer of the new Alexa healthcare skills package, said this, "We are meeting customers where they are — in their homes, in their cars — and making it simpler to create healthier habits and daily routines. Through our Amazon Alexa skill, customers can simply use voice to understand the full range of their health benefits and receive personalized wellness incentives for meeting their health goals, empowering them to take control of their total health." HIPAA regulations require certain health plans and healthcare providers and their business associates to meet data privacy and security standards for safeguarding health information.